PTCL customers can now enjoy seamless connectivity at lightning-fast speeds with PTCL 6 Mbps Unlimited Internet Package, that actually provides amazing internet speeds along with limitless downloads. 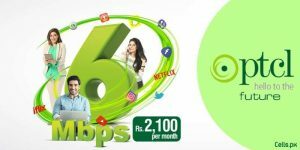 With PTCL 6 Mbps Package, subscribers can now avail 6Mbps internet connection in just Rs. 2,100 per month across Pakistan. 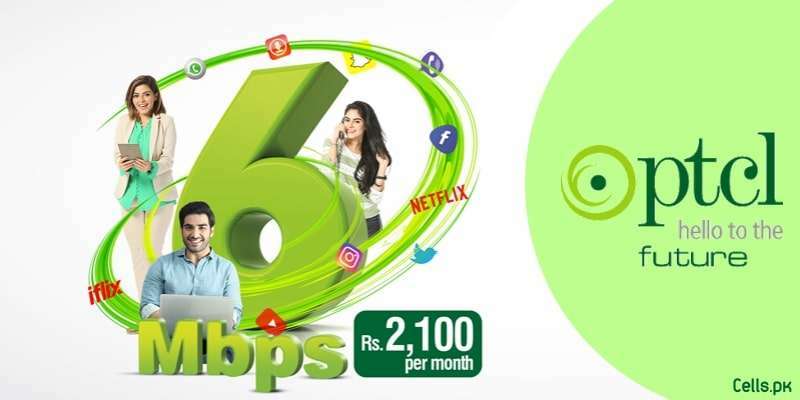 The offer is named as PTCL 6 which provides “Behtareen Internet ka Mix” and includes Unlimited Downloads, Free Limitless PTCL to PTCL Calls, Free Smart TV, Smart TV Application and last but not the least unlimited access to iFlix for 1 whole year along with a FREE Wifi router. “This is the first time that PTCL has launched 6Mbps internet package for our customers across Pakistan. PTCL is continuously striving to improve its products and services. Keeping the customers’ increasing bandwidth requirements in mind, 6Mbps internet package is launched, which is a very attractive upgrade opportunity for customers”. PTCL also introduced Network Transformation Project in Pakistan in 2017, which will surely enable major exchanges in the country to deliver lightning-fast internet connectivity to PTCL subscribers. To subscribe to PTCL 6 Mbps Package along with Free iFlix, Smart TV and Smart TV App, Free PTCL to PTCL Calls, Free WiFi router and more, please dial 1218 or visit any nearest PTCL Customer Care Franchise.